Sorry for the lack of posting lately. I actually have tons of amazing pics to share thanks to Liana and my hubby, I just don’t have much to write about! Things have been quiet on the home front. Good, just quiet. The weather has been pretty amazing, and we have been logging some great saddle time. Things are going to be even quieter these next 2 weeks while a good chunk of the barn travels to TN to show at Brownland. Good luck Team Bay Yard! Rio has gotten so quiet thanks to warmer temps and over-night turn out. He has been the embodiment of a quiet hunter lately, making my life a lot easier. I have actually been having to use a moderate amount of leg lately, which is very unusual for us. I’m not complaining though, I prefer a bit of a “leg ride”, as long as they aren’t dead to the leg. 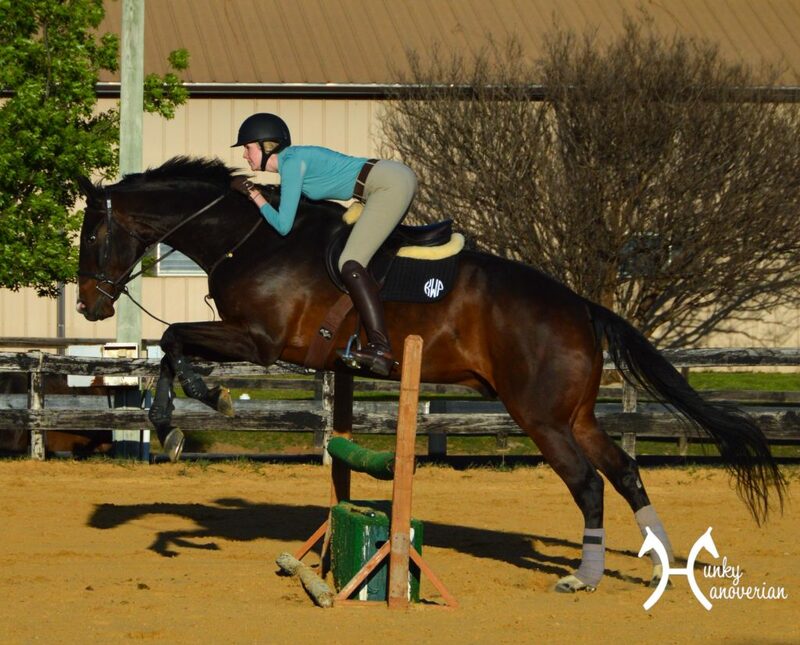 We have been keeping jumps really small in lessons lately, and I am not complaining. I have been feeling lately like we jump a lot, and it makes me feel guilty. 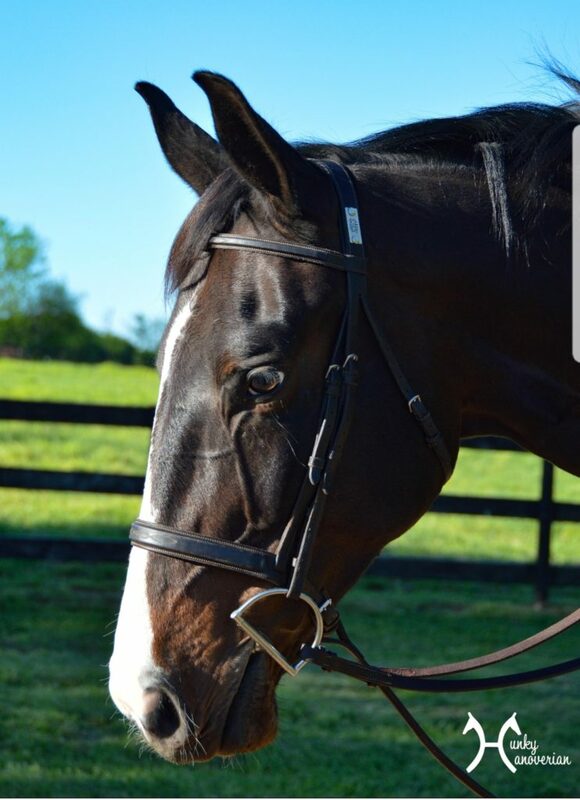 But, then I think that I take one, sometimes 2 jump lessons a week, and we keep the jumps 2’9 and under, which doesn’t particularly sound like a lot. It’s not like 2’6 is hard for 18 hand Rio. We always start the lesson our with poles and cavelettis and small jumps (like 2ft) and gradually work up to more, so we don’t even spend the whole lesson jumping 2’9. Not sure why I have been feeling like it’s a lot. I think it’s because this is the longest I have never been able to consistently jump. In the past, Rio was periodically sidelined with injuries. AH HAH! That must be why! See?! This is why I blog, to organize my thoughts. You would think by my position we are jumping 3’6 hah! Trainer has been saying I am a bit too quick with my upper body, even though these are still shots I think I can see what she means. Mostly our lessons have been going really well. Yesterday though was a total “ammy” day. Not to disparage ammies, I just felt like my mind wasn’t in the game and I couldn’t make a good decision to save my life. We try NOT to go for the long spot, and yet I couldn’t commit to the deeper spot several times and threw my body. Rio on the other hand knows that we are practicing jumping from the base, and had the good sense to ignore me. Bless him, such a saintly boy. As I have mentioned before, we also don’t do too many lead changes at home, as I struggle in our smaller ring. Let me clarify, our ring is not small, but sometimes the way the lines are set doesn’t give you a TON of time to prepare. I literally need to land and have like 5 solid strides to prepare before even attempting a change. One good thing from our lesson yesterday was a jump on the diagonal that gave us plenty of time after to prepare for the change, and we got great right to left changes several times, and even a few left to right off a tighter distance. I don’t always ask for them,, but he felt good and they went well so YAY! I have been feeling upper iffy about them so I was doing a mini celebration every time we got one. What about you guys? How often do you jump and how big usually? Just curious what the norm is for everyone else! How’s Rio been doing with the sweating issue, are you going to try anything new this year? I usually take 2 lessons per week with some jumping, usually around 2’3″-2’6″ with smaller jumps for warm-up and sometimes up to 3′ jumps if things are going well. I think the consistency is key for me — I don’t need to jump HUGE or tons of jumps, but jumping something twice a week keeps my mind “in the program” more effectively. It’s been YEARS since I’ve been in a real program, but I still think my old plan was a good one. 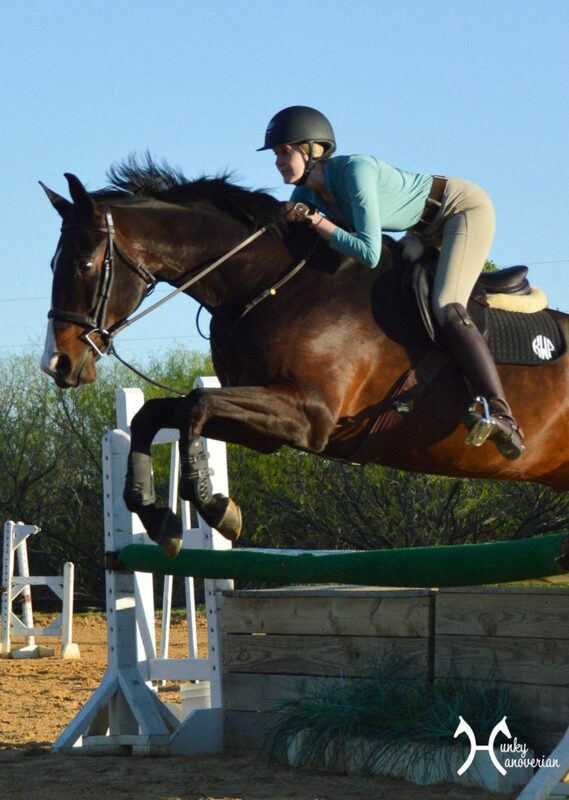 Usually two jumping lessons a week if it was the off season (not showing). During show season, maybe once a week, unless we were showing back to back weekends, then I didn’t lesson at all in between unless we were having some kind of issue. You guys are looking great, so whatever you’re doing, it seems to be working for you! 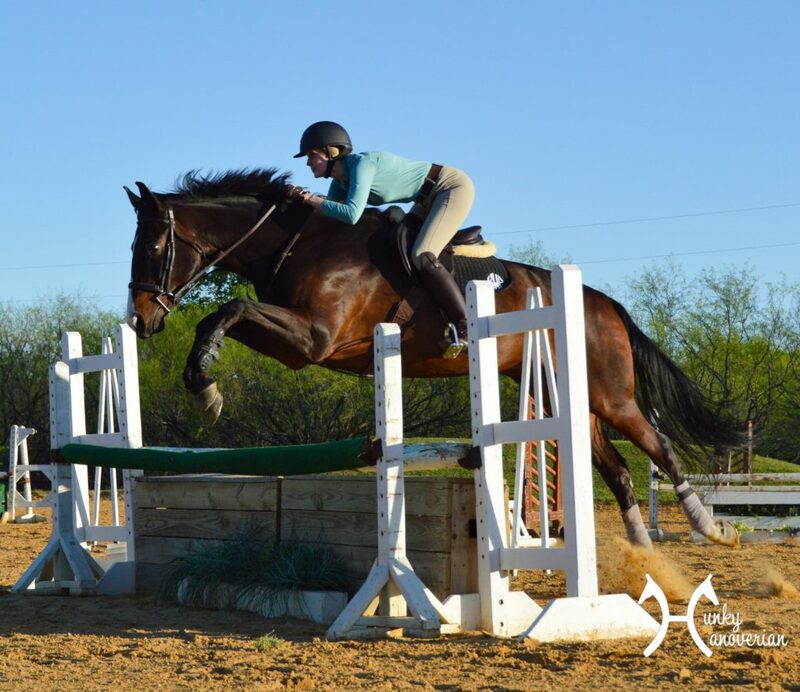 We tend to stick with jumping once a week in lessons, but sometimes I’ll do two lessons in a week and I don’t worry about it too much – the jumps are usually 3′ or lower, and we only bump them up bigger to finish out, or once in a while as a tune up lesson. We used to jump smaller jumps more often since we were getting used to each other and Frankie needed to learn a lot about how to use his body over fences, but nowadays he’s an old pro and we’re used to each other, so we don’t need as much to keep us sharp. Disclaimer: I’m from northern europe and I’m doing jumpers, not hunters or eq. We usually jump once a week, typically on Tuesdays or Thursdays depending on when the next show is. I’m currently showing 1.20-1.30m classes so we don’t have to prep too much. With my home trainer we tend to start small, usually with cavaletti blocks and trot poles, and then gradually going up until we’re at around 1.30-1.35m. With my “Senior trainer” (Former olympian team coach, currently full time trainer to an LGCT rider!) we usually do 3 day bootcamps since he’s rarely in Sweden anymore. 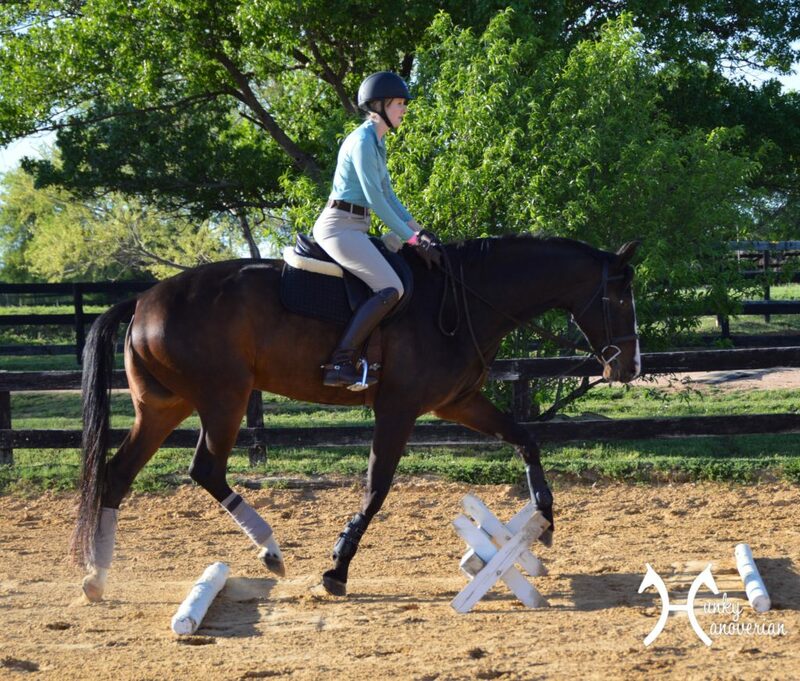 First day tends to be intensely focused on disciplined, like trot jumping 1.10m, canter 4 strides, trot over trot poles, back to canter, jump big oxer, canter 4 strides then back to trot. Also a lot of pirouette turns, changing the amount of strides between cavalettis to fit one more stride in/take one stride out. Second day is usually flatwork with poles in the morning and then mixing disciplinary training with full course jumping, i.e. basically jumping a course at competition height but doing canter-trot transitions, incorporating cavalettis and canter poles, etc etc. Final day is a full course, with the occasional quadruple (!) 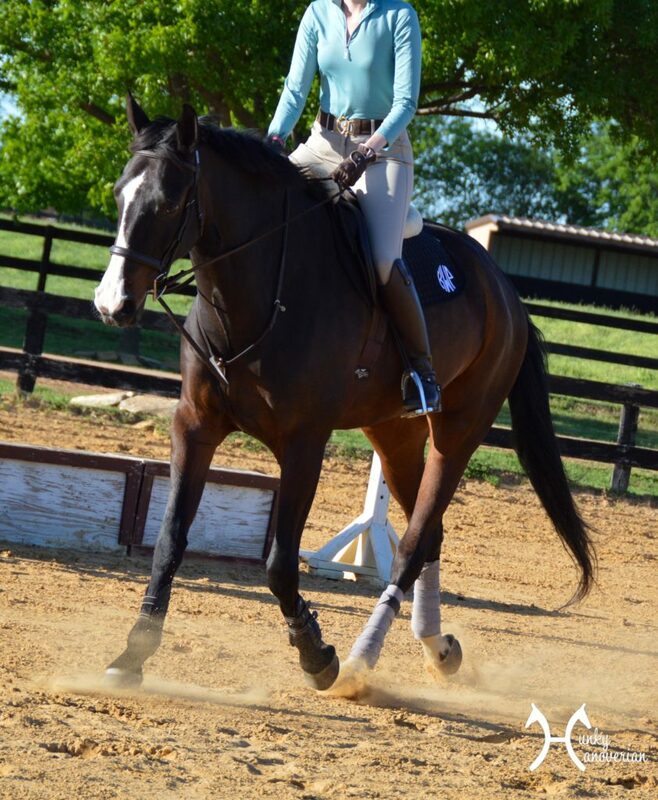 combination with like oxer-vertical-vertical-oxer with only one stride in-between and SUPER big.